Well, we’re two months into 2018 and now, more than ever before, content is STILL king. More importantly, if you haven’t been sleeping under a rock, you know that VIDEO content is gaining traction to becoming the preferred method of communication via the internet. Video content isn’t new. It’s not as if we’ve been suddenly thrust into an age inundated with video everything. But the truth remains: we’re now, more than ever before, surrounded by online video content at nearly every click of the mouse. You can’t even watch the weather report without first having to view a short 6-second video bumper ad. 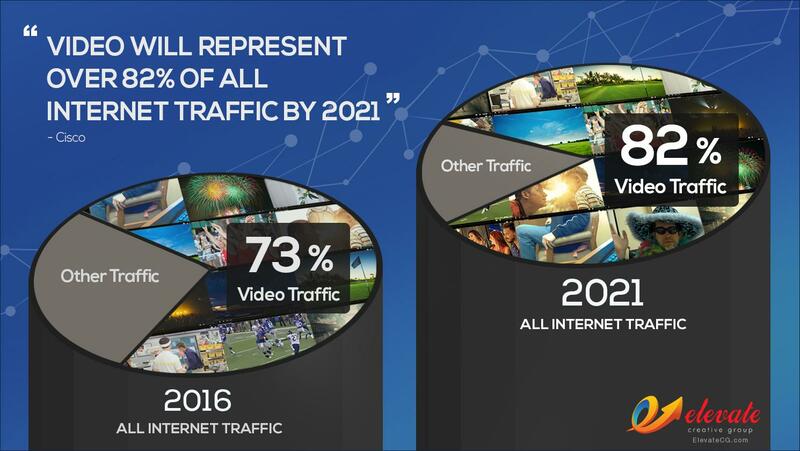 If that’s not enough, according to new estimates, video will represent over 82% of all Internet traffic by 2021, which is up from 73% from 2016 (Cisco). What does this mean for your businesses? It’s time to implement video into your online marketing strategy; that is, if you want to continue to be seen by customers online who consume content, content which is now in video format more than any other format! In other words, unless you want to be left behind in the dust, you need to start making professional video content and marketing it in the right ways to reach your targeted customers online. 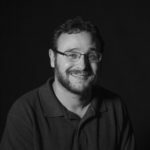 As a digital marketer and video production expert, I’d like to use this post as an opportunity to discuss video’s growing place in the digital marketing arena, as well as how you can incorporate video in your digital marketing strategy in order to take advantage of this proven trend toward video content dominating the marketplace. Video has become and will continue to be an expected and indispensable part of the digital/online marketer’s arsenal, finding its place in practically all areas of marketing, from communicating your core brands message to explaining the intricacies involved in complex products or services… and everything in-between. We know that video is a fantastic way to efficiently transmit information, both visually and linguistically. What’s unique about video, though, is how it can convey information in a compelling way that begs to be shared. Think of the countless uses and possibilities for sharing video has: you can embed it on a website hero slide, on social media, in blog posts, by themselves, etc. The number of applications, channels, and platforms in which you introduce video is up to you! So, you have a business; do you still find yourself relying on the old ways of marketing? It’s likely that your competitors aren’t. Why? Because they are probably already using video to engage their users. There is a well understood industry goal of content marketing strategy: generate leads, expand customer base, increase online sales and ultimately grow your business. To convert web visitors into leads, and/or first-time and return-customers, quality content is key—content that identifies your customers’ needs and wants, and presents concrete solutions in a compelling, engaging way. So what’s that secret sauce to truly compelling content that resonates with your customers? Video is that secret sauce. Let me explain the recipe. To start, video content should be a major part of your content marketing strategy. A recent study found that 4 times as many consumers prefer watching videos about products than reading about them. 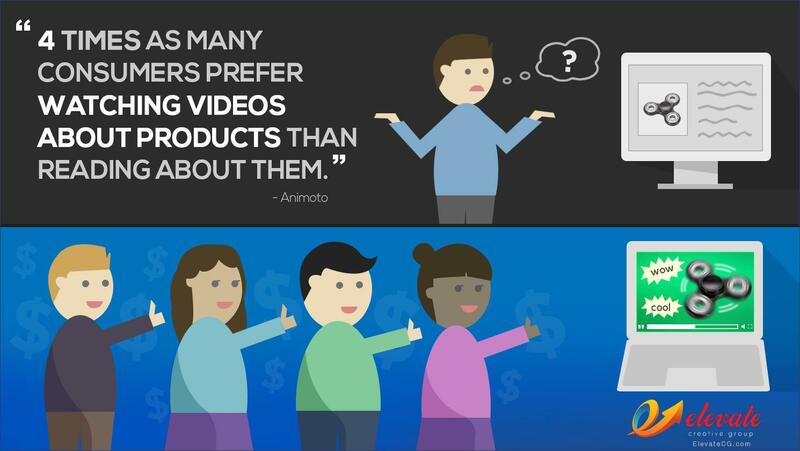 Makes you think twice about implementing video into your ecommerce marketing strategy, doesn’t it? Looking for engaging, compelling content that resonates with your target audience? Video is the way. It’s stimulating, visual, moving, entertaining, and it brings the story you’re trying to convey with words—your company, your proposition, your brand—to life, grasping the viewer’s attention, fully absorbing them with information, and inspiring action. Gaining new customers starts with creating quality brand content that prospective customers can identify with and which resonates with them. You can start to achieve this by meeting them at their level, communicating with them via the medium they prefer; video content is preferred over written content because the human brain processes visuals faster than text. We’ve all heard it before: “a picture is worth a thousand words”. It may be worth much more. According to Forester, a one-minute video is worth 1.8 million words. What will you do with 1.8 million words? What will you attempt to say in 1.8 million words? What about your company’s story? Don’t attempt. If you haven’t already, start your video marketing strategy now. As discussed above, video continues to occupy a large space in the digital marketing arena. Video will continue to dominate Internet traffic. What does that mean for companies? You need to get serious about incorporating video content into your digital marketing strategy if you want to future-proof your business. According to current video marketing trends, video is expected to take off in a number of ways, including a rise in brand stories and live-streaming on social media platforms like Instagram and Snapchat, as well as short, informative “explainer videos” (Huffington Post). There’s no reason your company shouldn’t follow suit. Incorporating more video social content to help engage and educate your current social audience and prospective customers about your brand, your industry, and the services you offer will help establish brand identity, over a time converting engaged audiences into customers, and hopefully, repeat customers. If there’s one thing I want you to take away from reading this post, it’s this: don’t let your business get left behind by not utilizing video content and video marketing in 2018. Video is the most common type of consumed content on the web today, as well as the most highly shared form of content. It is the easiest way to translate your brand and product messages to people. Enhancing your brand messaging with video is the first step toward truly reaching and engaging your prospective customers in 2018. If your business needs help with your 2018 video marketing strategy, please contact us HERE to learn more.